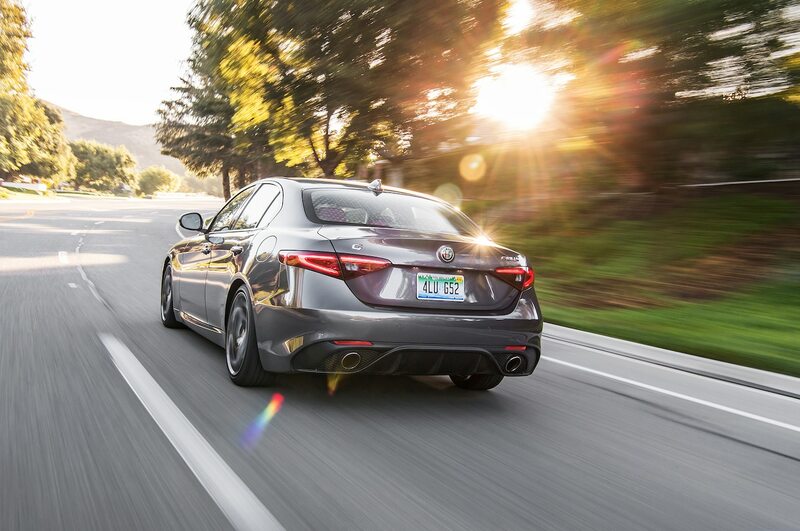 Driving great distances because you can is a deep-rooted American tradition. 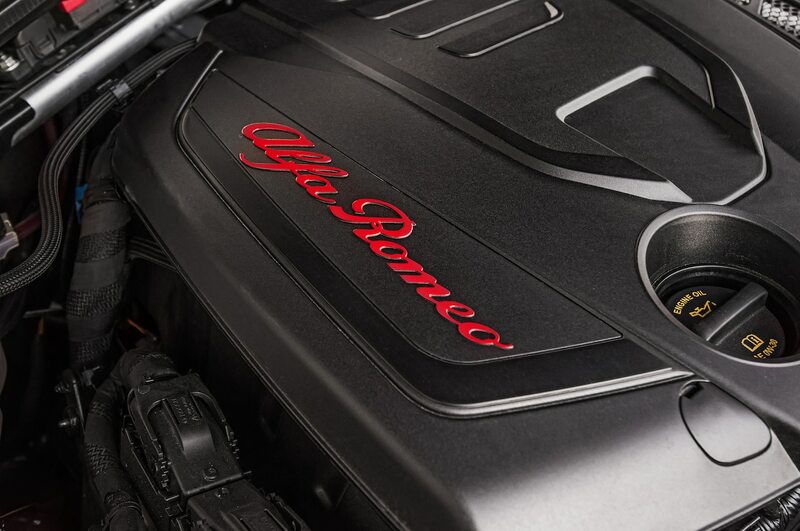 It is the declaration of independence of the industrial revolution. 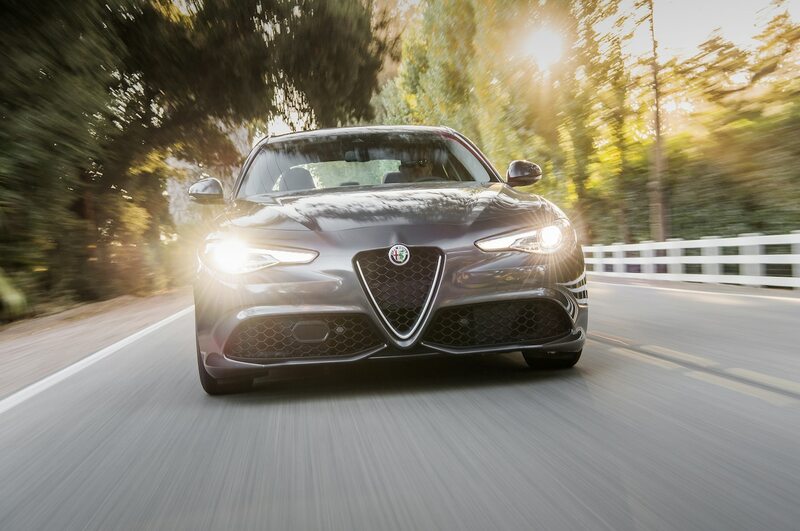 It is our automotive destiny. 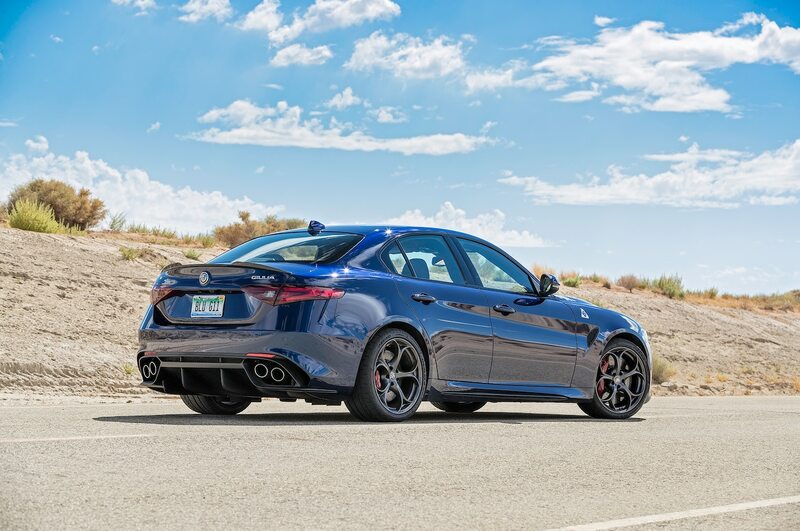 We embrace the decreasing-radius corner, the back road’s unexpected undulation, the hairpin with a dusting of gravel at the apex. 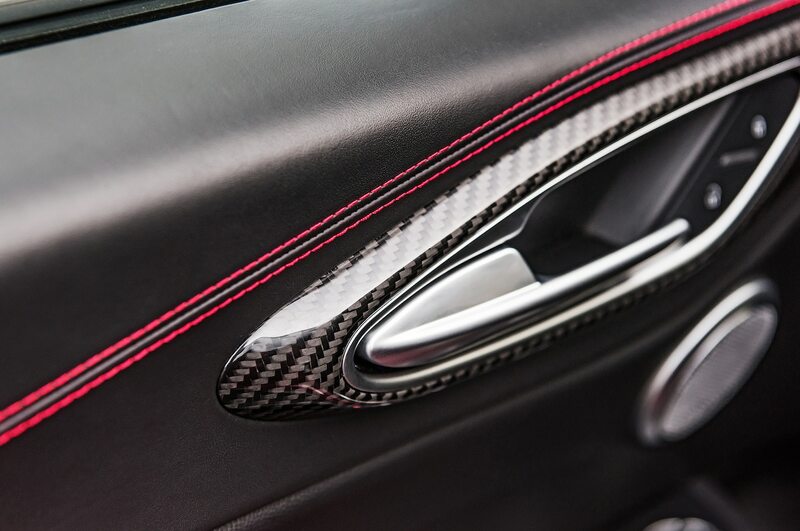 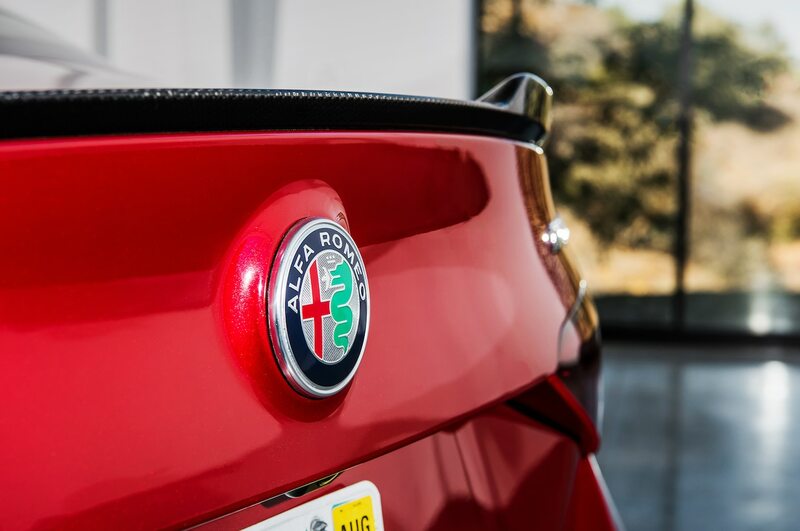 At a time when the formulaic commoditization of cars is not only expected but also a standard feature, we rebel. 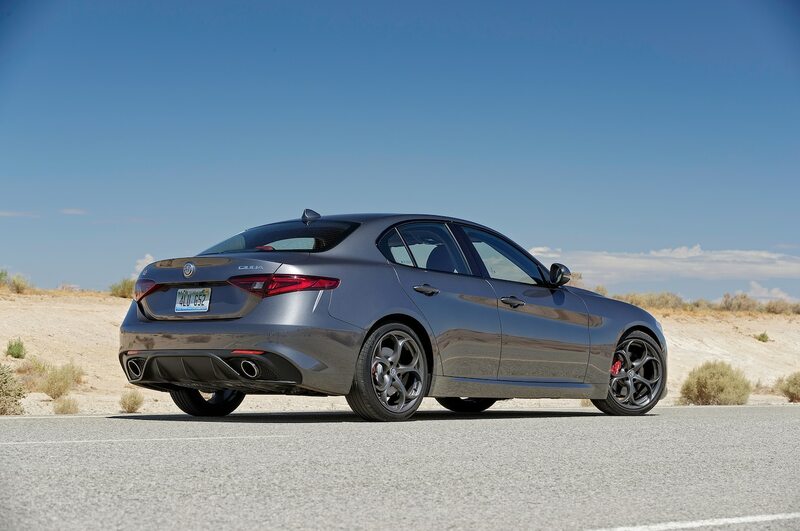 We are not ready to relegate our cars to the status quo of an A-to-B anachronism of conveyance. 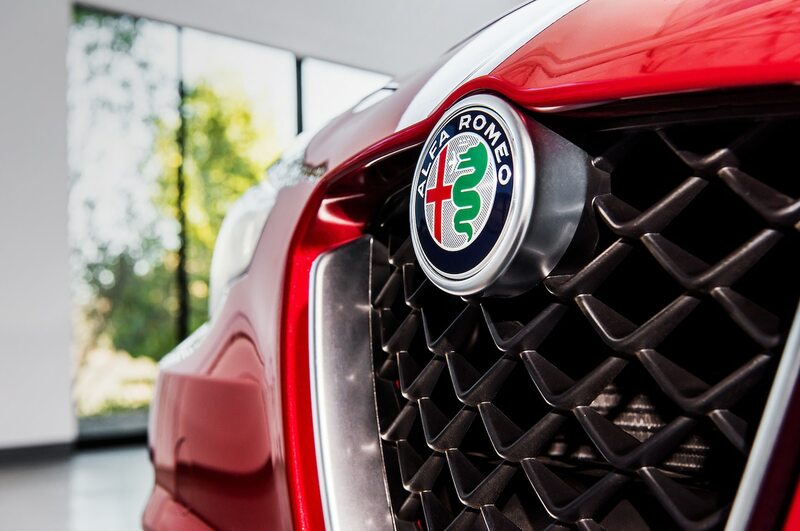 We believe in the necessity of passion and finding your heart’s desire. 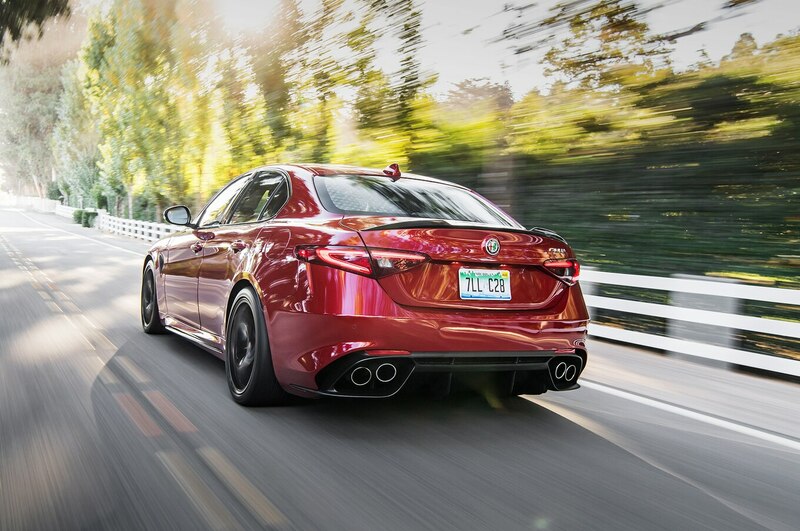 There is still time—time to instill joy, lust, rivalry, and good cheer. 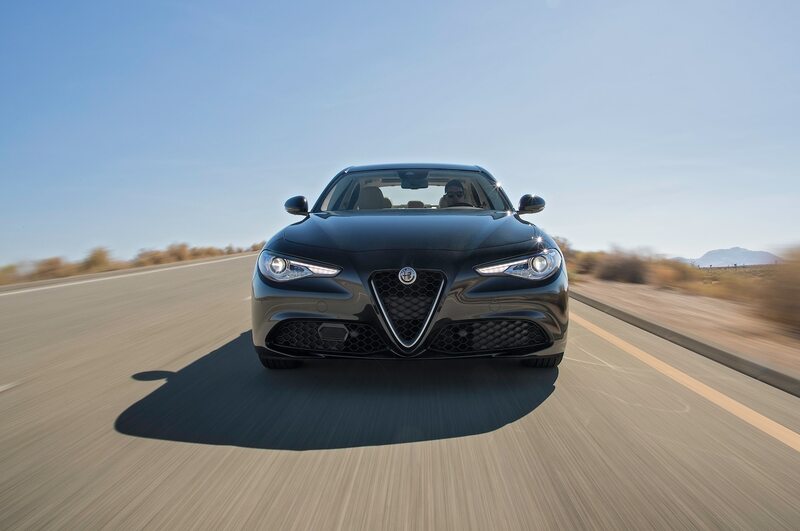 For those who won’t settle for ubiquity, we present the 2018 Motor Trend Car of the Year: the Alfa Romeo Giulia. 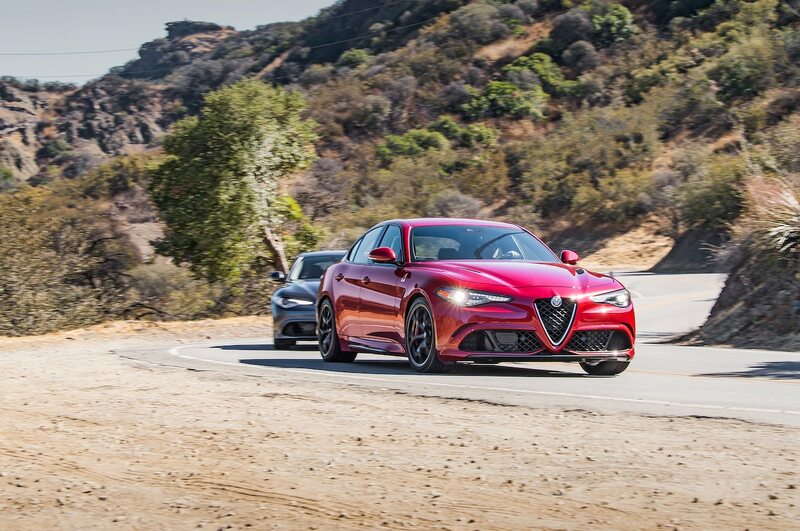 Anyone reading Motor Trend this past year shouldn’t be surprised. 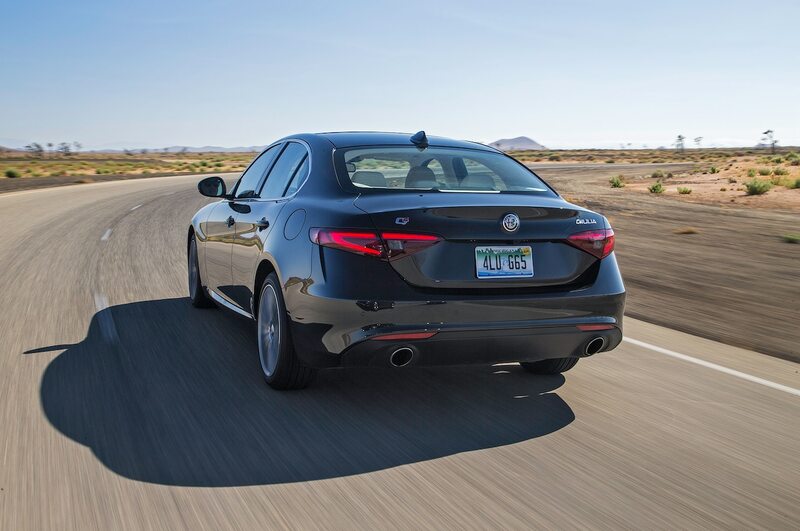 Each successive time we drove the Giulia, through summer’s ripening breath, our enthusiasm grew. 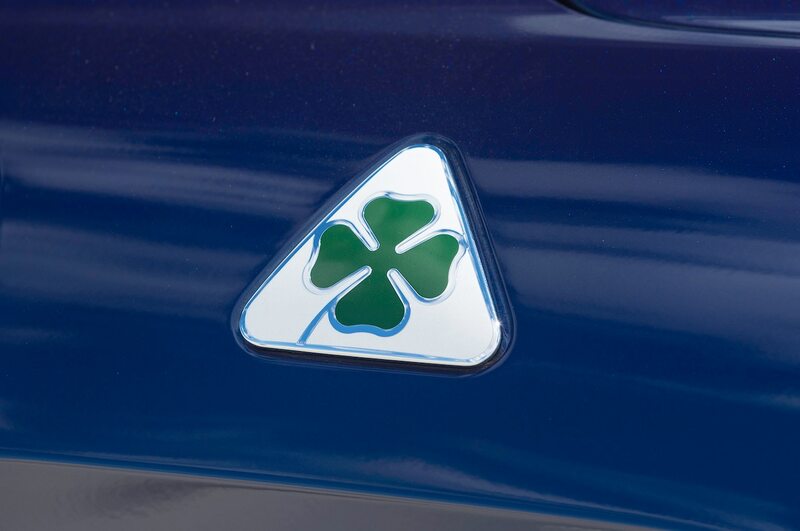 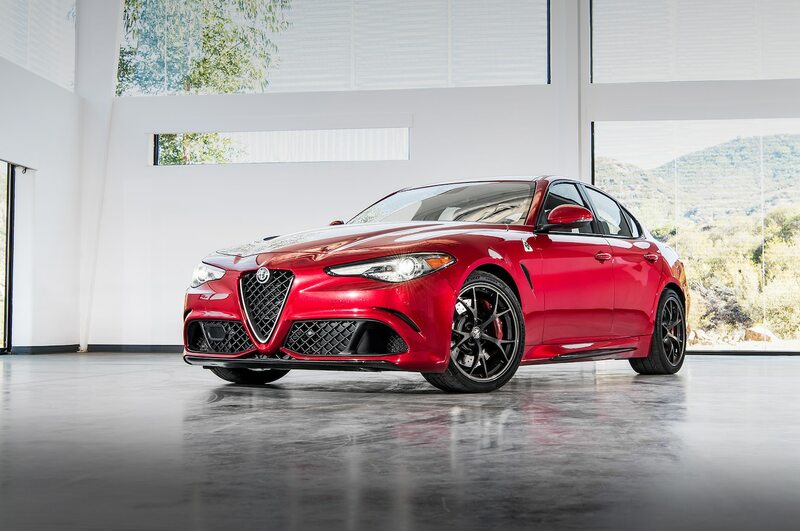 Alfa Romeo’s erratic legacy in this country might mean many Americans have limited knowledge of this brand and heritage. 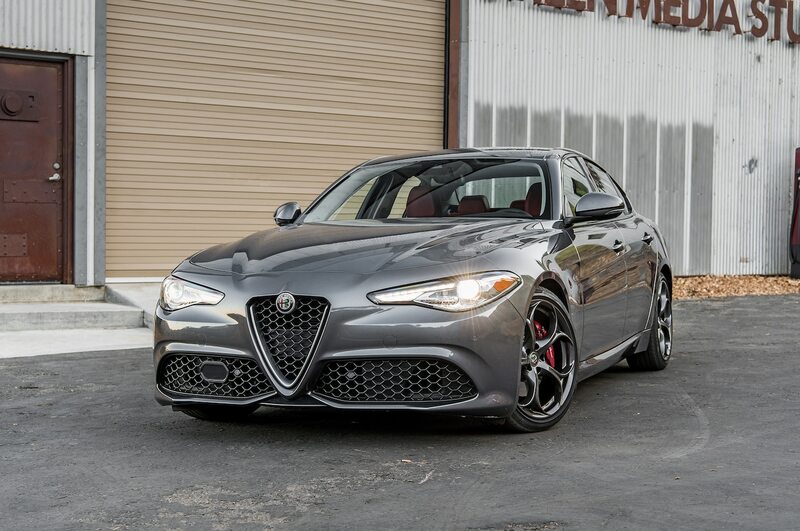 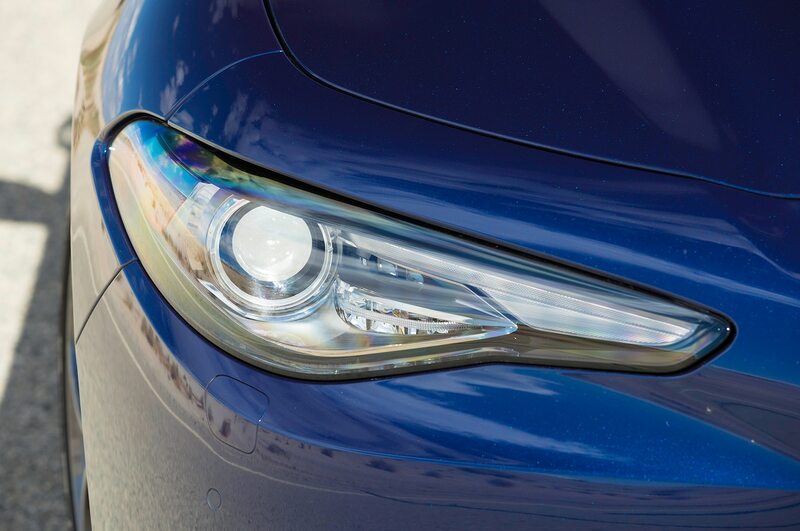 Consider the Giulia your introduction. 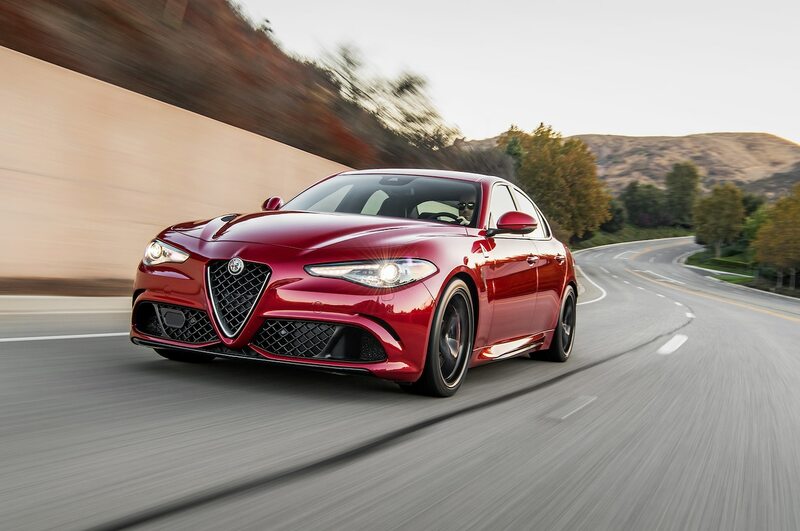 But Alfa Romeo is dashing away with the prize—the first time an Italian brand has won COTY or our discontinued Import Car of the Year—and anyone who has been reading Motor Trend this past year shouldn’t be surprised. 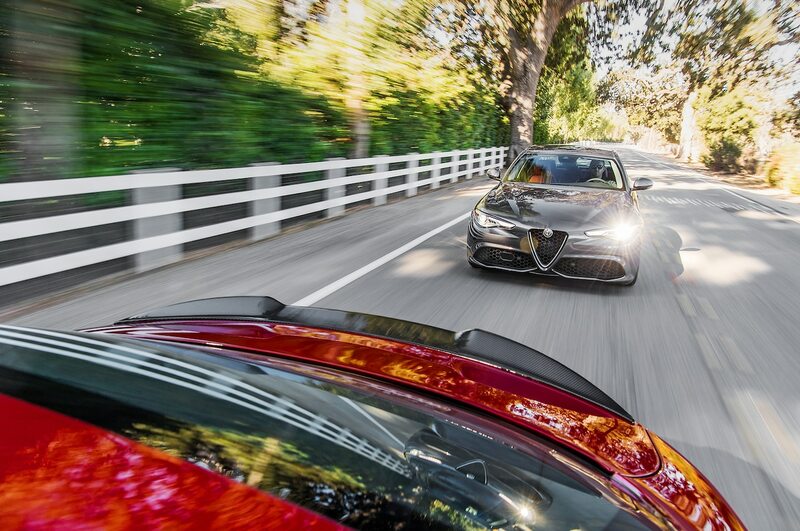 And in Best Driver’s Car against 11 supercars, sports cars, and six-figure grand tourers, the Quadrifoglio (the lone sedan) finished in a respectable sixth. 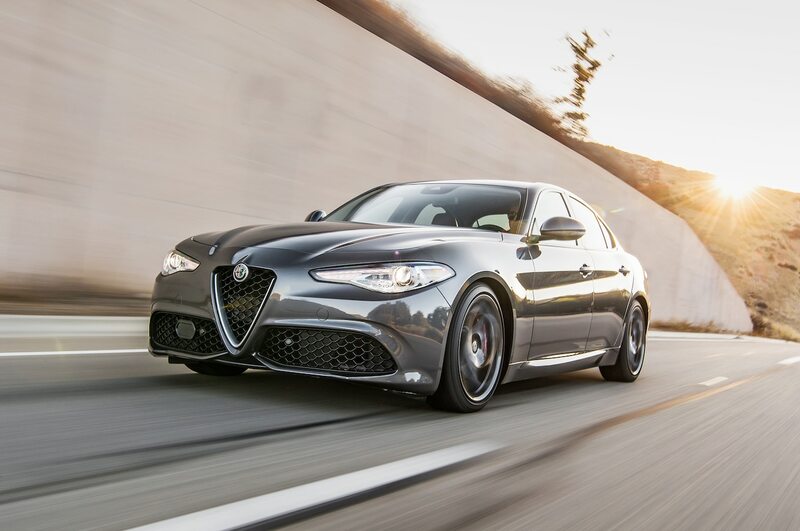 Each successive time we drove the Giulia, through summer’s ripening breath, our enthusiasm grew. 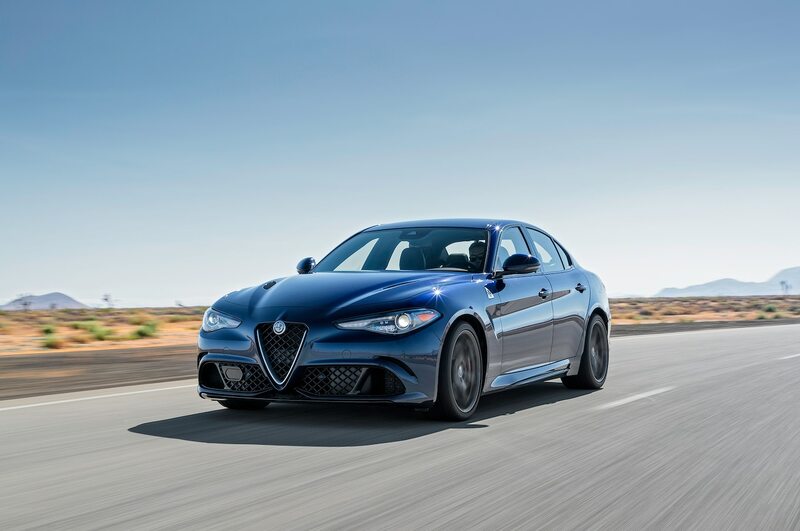 “Best steering, best chassis—this car saves the sport sedan market,” says guest judge Chris Theodore—the former Ford and Chrysler product development executive who knows something about creating cars to make a soul ache. 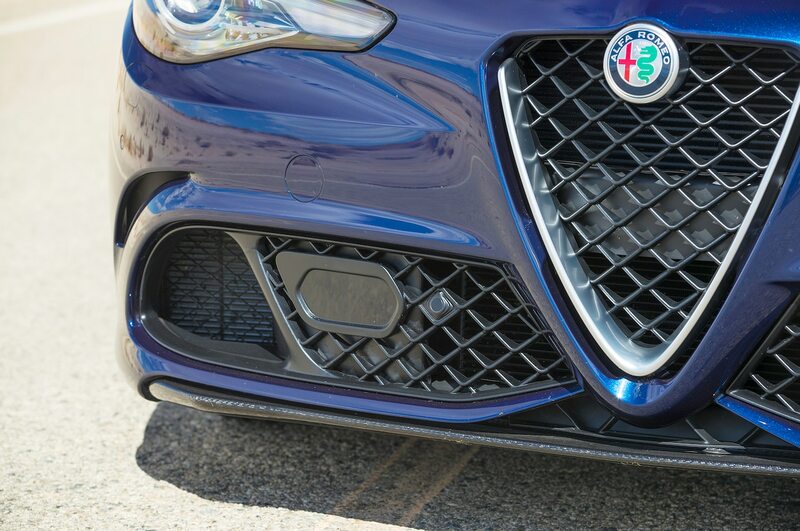 The top-trim Quadrifoglio, with its 505 fiery-footed steeds underhood, is blisteringly quick, especially in Race mode. 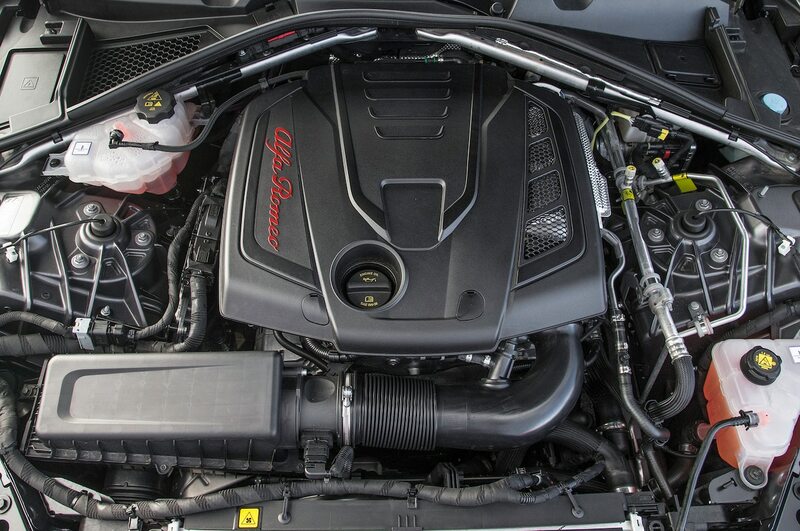 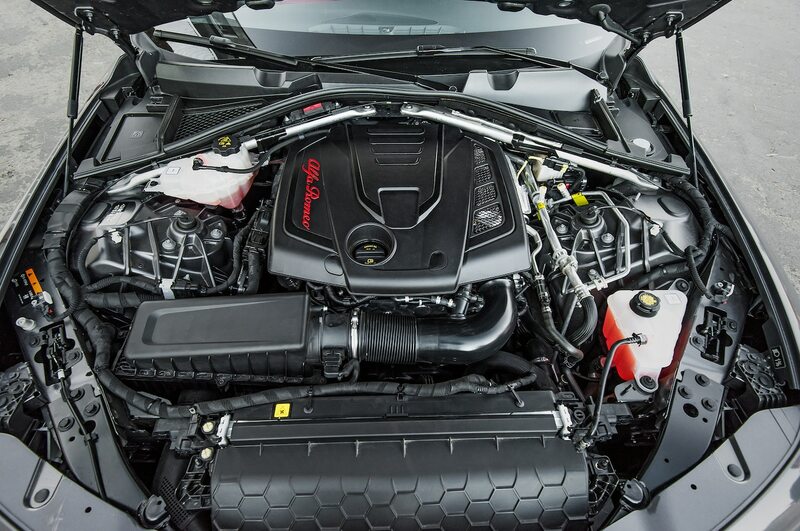 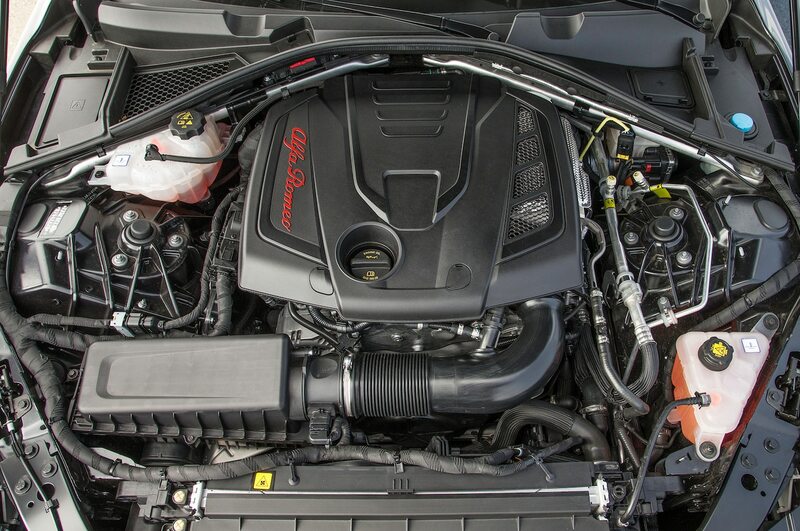 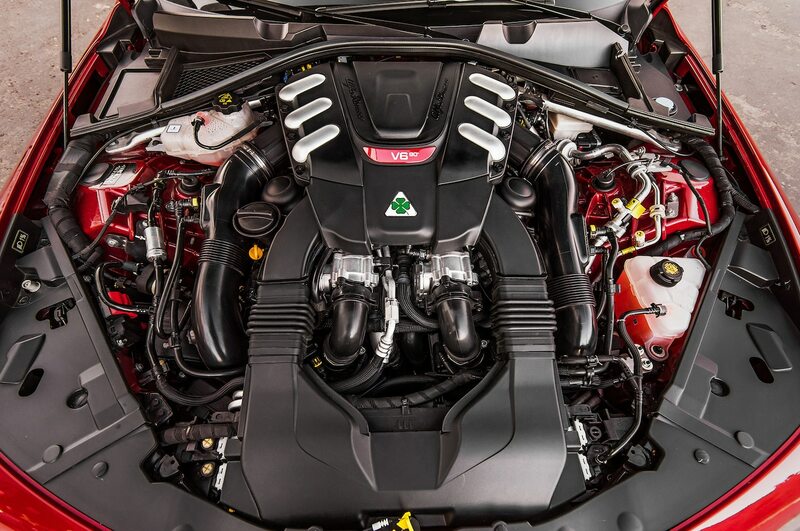 Its 2.9-liter V-6 is a Ferrari engine with two cylinders cleaved off, for crying out loud. 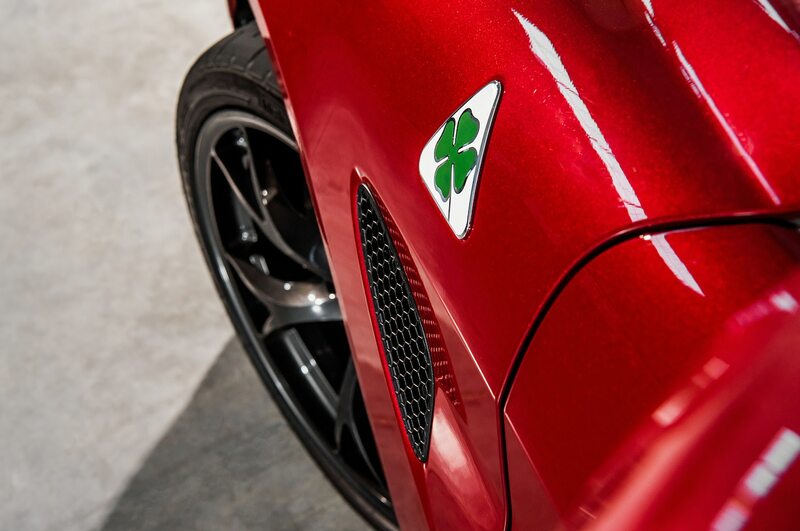 While punching out a 3.8-second 0–60 time and a 12.1-second quarter mile, this pazzo Alfa also carries asphalt-peeling lateral grip. 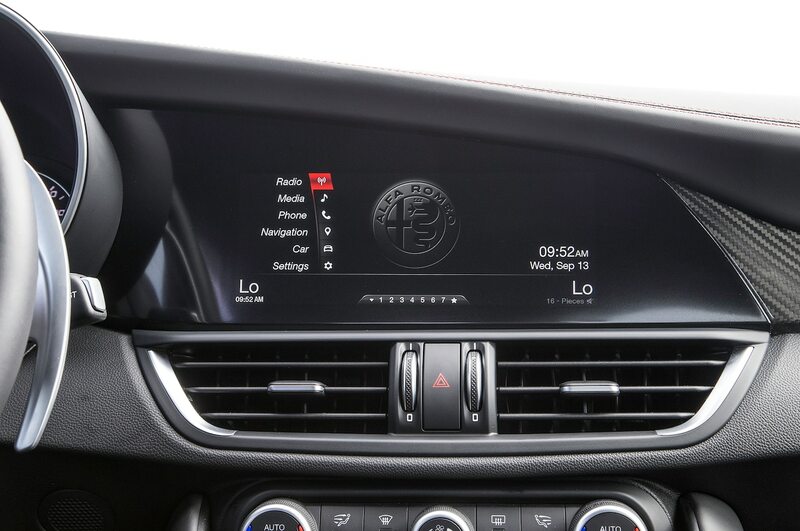 Yet the car’s attitude can be adjusted on the throttle at will. 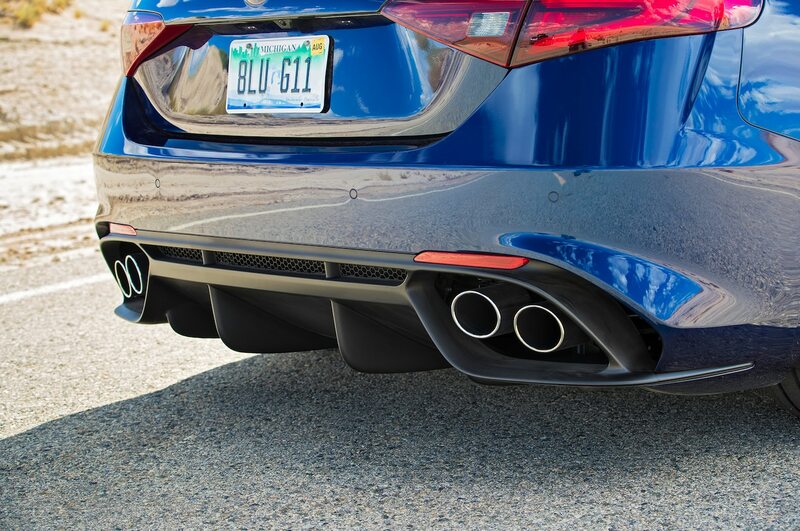 In short, it goads expletive-shouting misbehavior while delivering a commute-friendly ride. 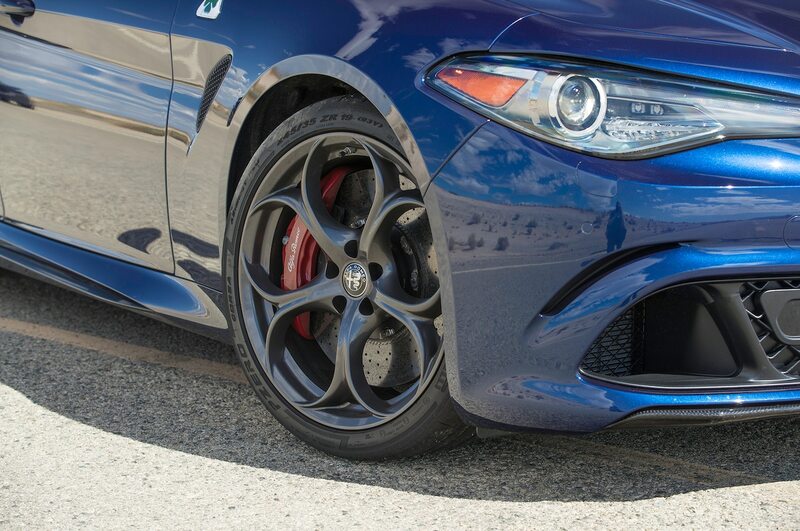 What clinched the Calipers was the base Giulia. 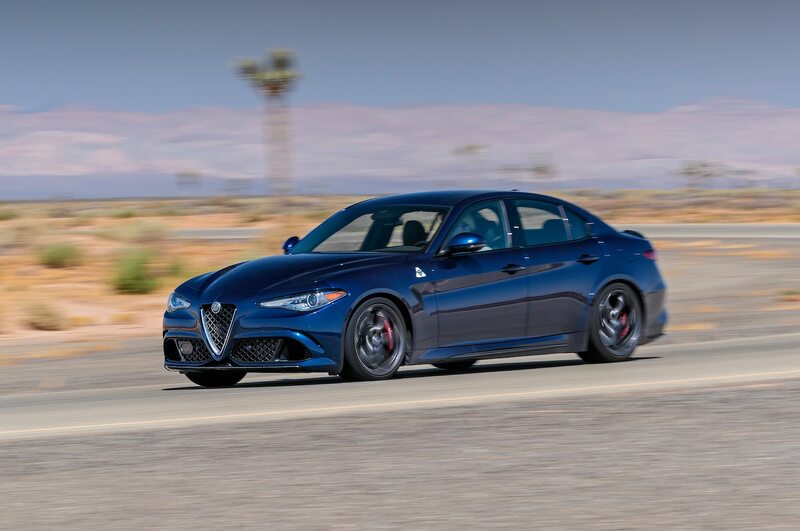 Many brands make blazingly fast performance sedans, but when the exercise is reduced by mass-market pressures, the lesser version is often found lacking. 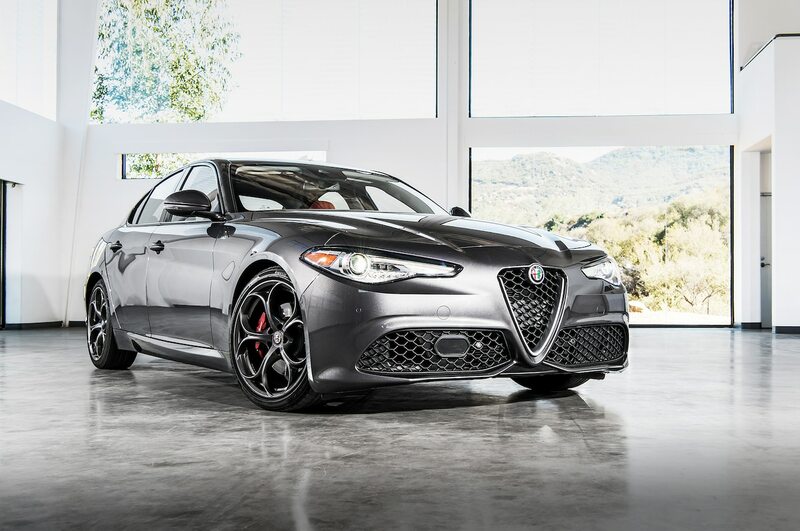 Not so here. 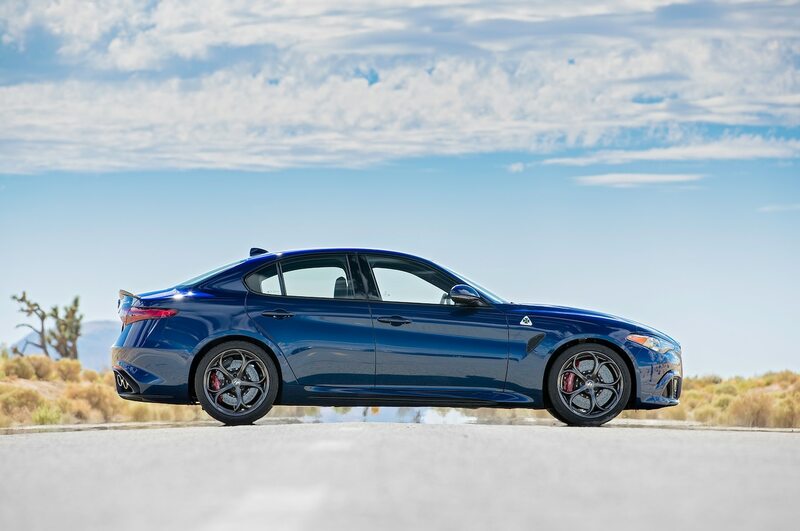 The $38,990 USD base Giulia achieves something Acura, Lexus, Infiniti, and Jaguar have tried futilely to do for decades: build a better compact sport sedan than the Deutschlanders. 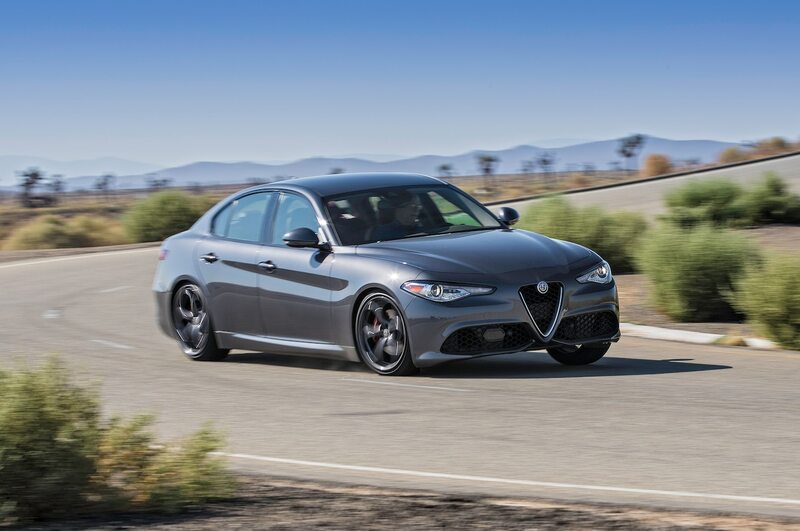 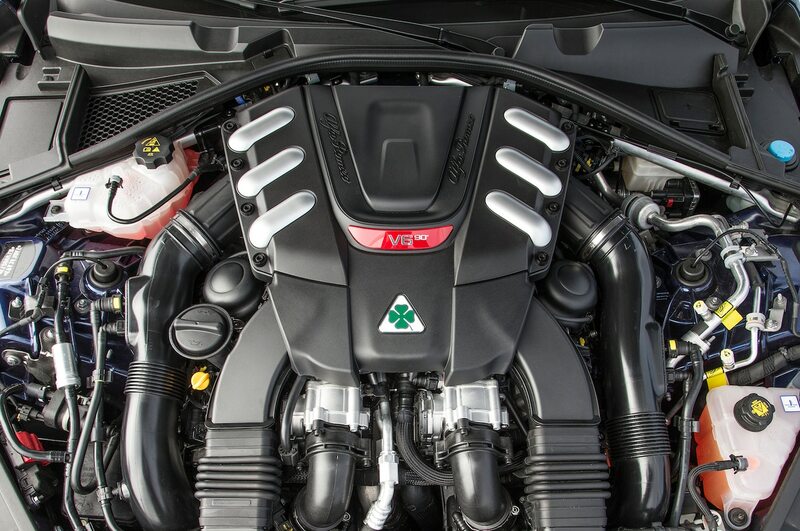 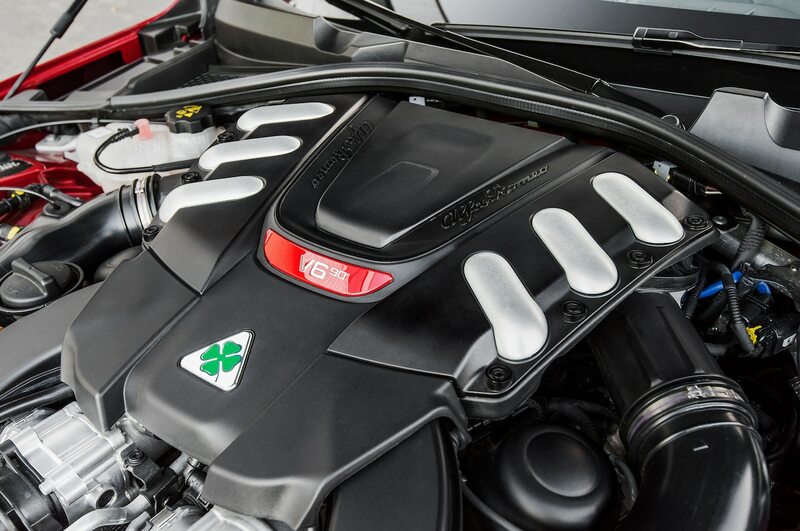 The Giulia’s eager 2.0-liter turbo-four is no wisp of an engine. 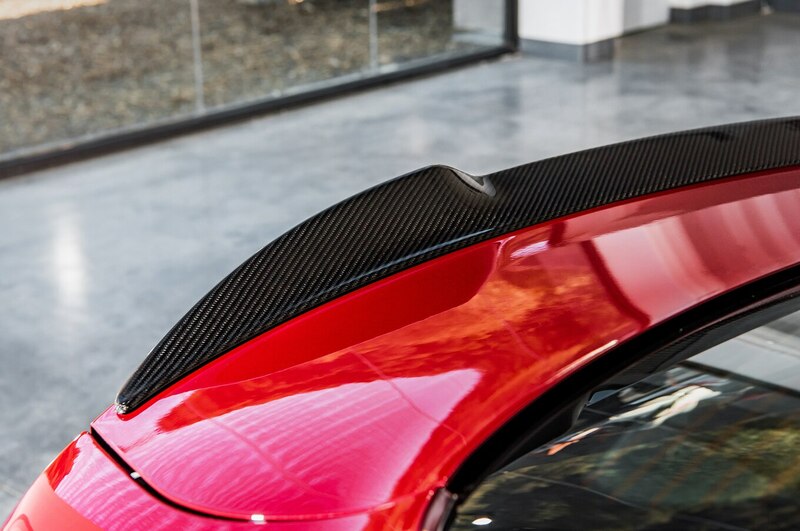 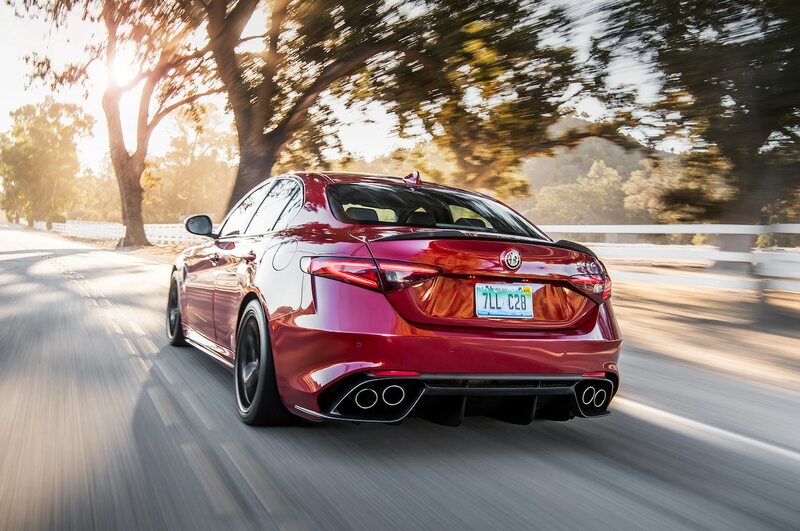 It cranks out a stunning-yet-tractable 280 hp and 306 lb-ft of torque. 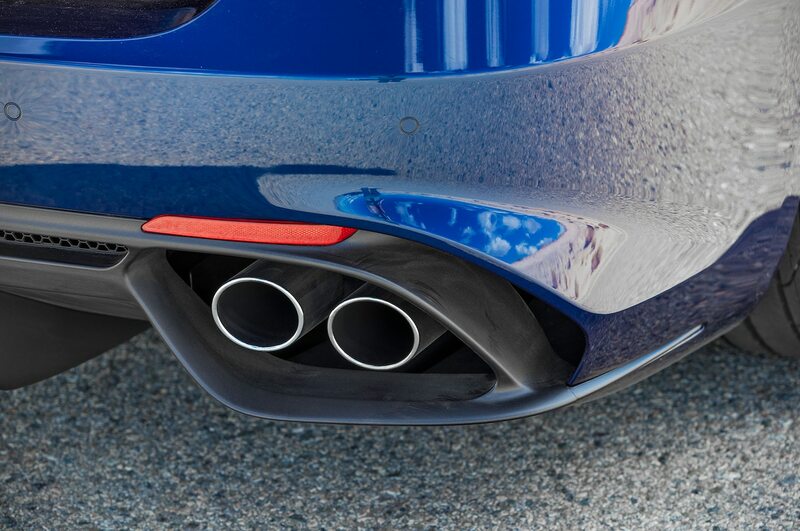 In testing, we admit to finding a hint of lag and lash, but when the powerband kicks in to second gear and the exhaust note awakens, your senses will revel in jubilation. 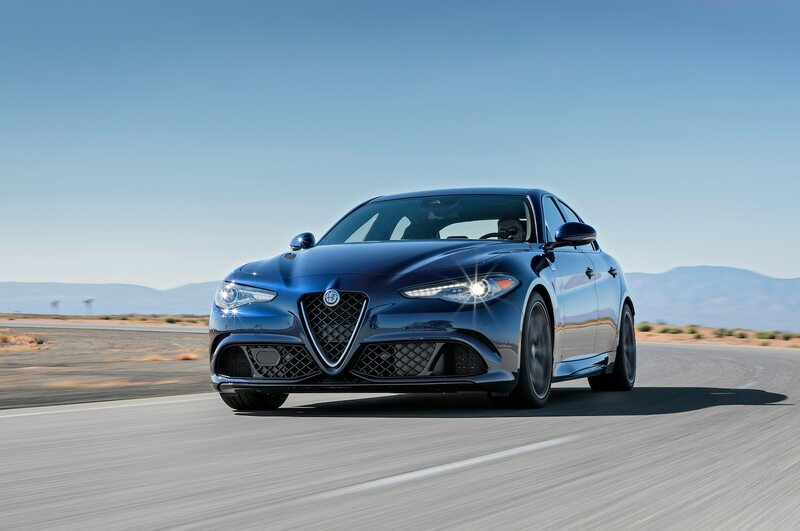 Putting the power to the pavement is a proven ZF eight-speed with 100-millisecond shift times and the ability to skip-shift from eighth gear directly to second if instant hp is needed. 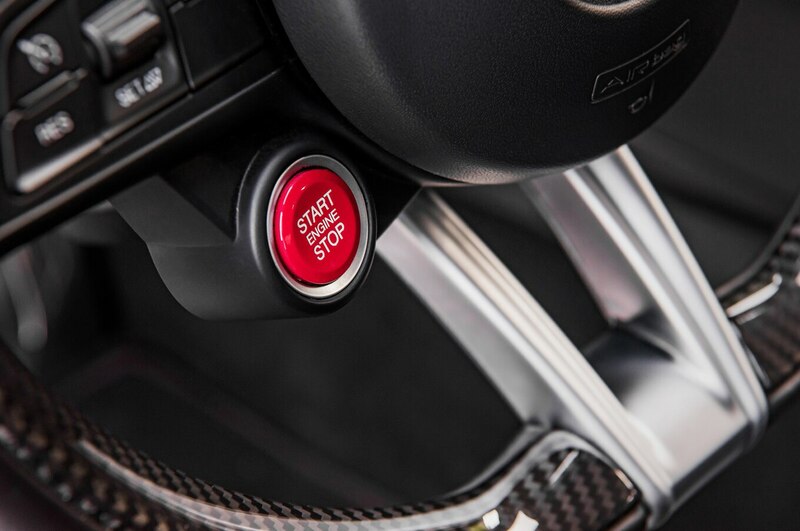 If you are stuck in the typical morning snarl, a switch to “A” mode changes the shift logic to smooth and calm. 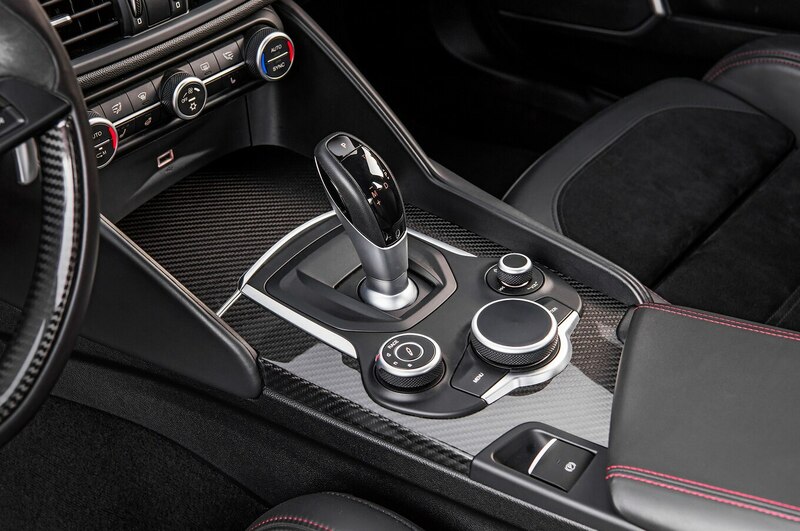 So what if we Americans don’t get a manual version? 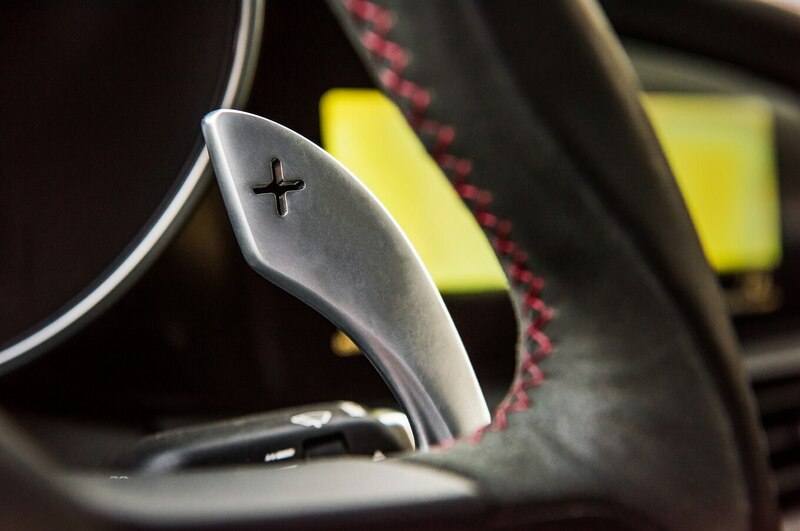 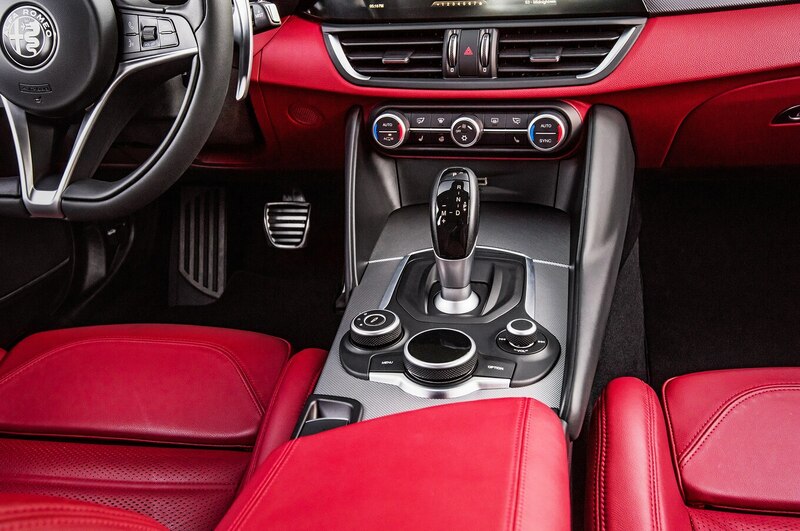 One toggle of the cold, all-aluminum paddle shifters will make you cease yearning to row your own gears. 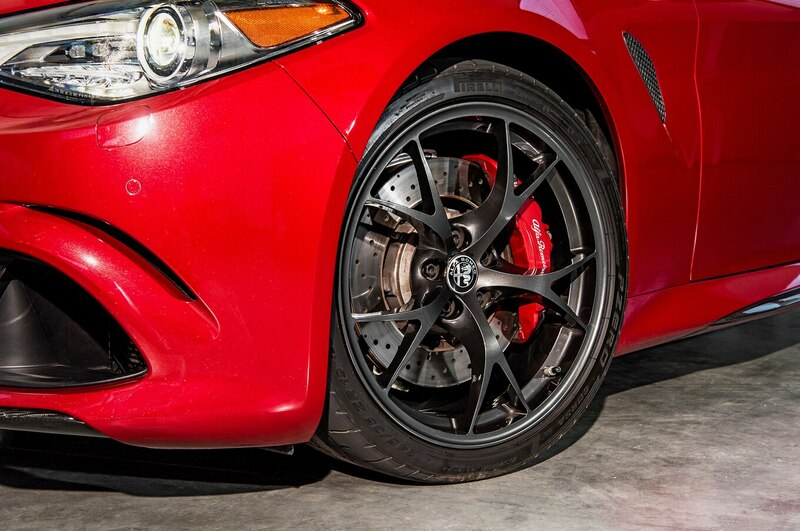 The Brembo brakes, normally a sure thing, and brake-by-wire system earned some frowns for being mushy under pressure, though. 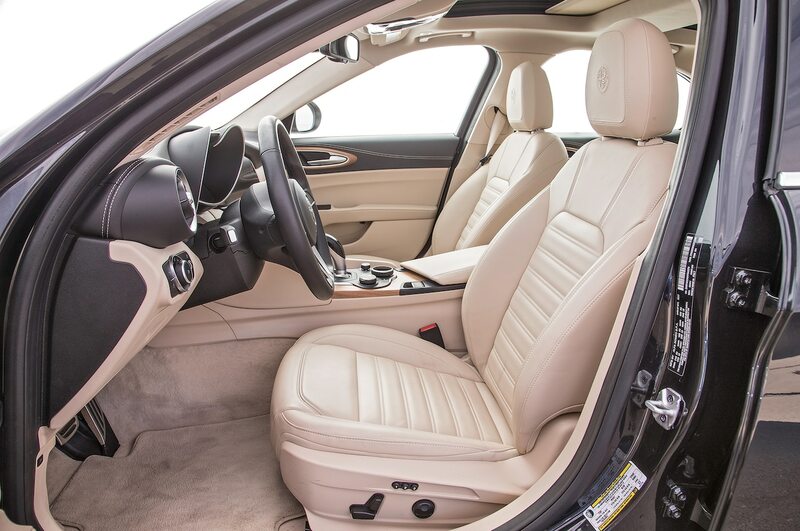 Many luxury sedans have imitated the stark Germanic style. 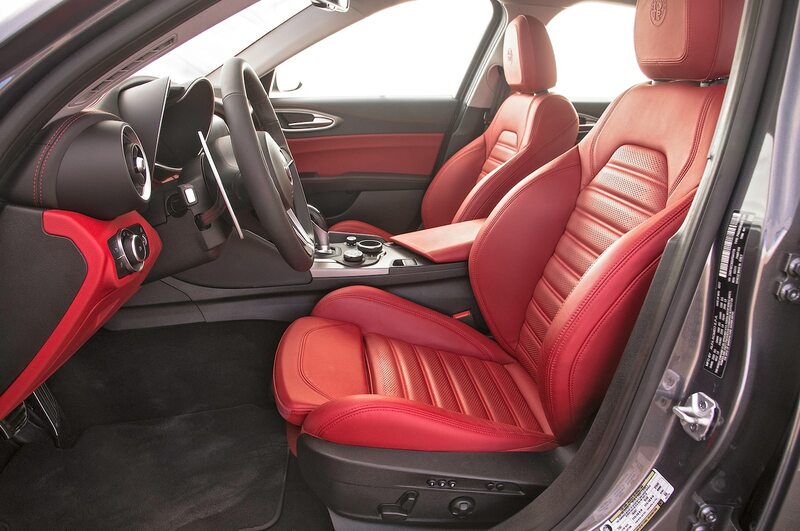 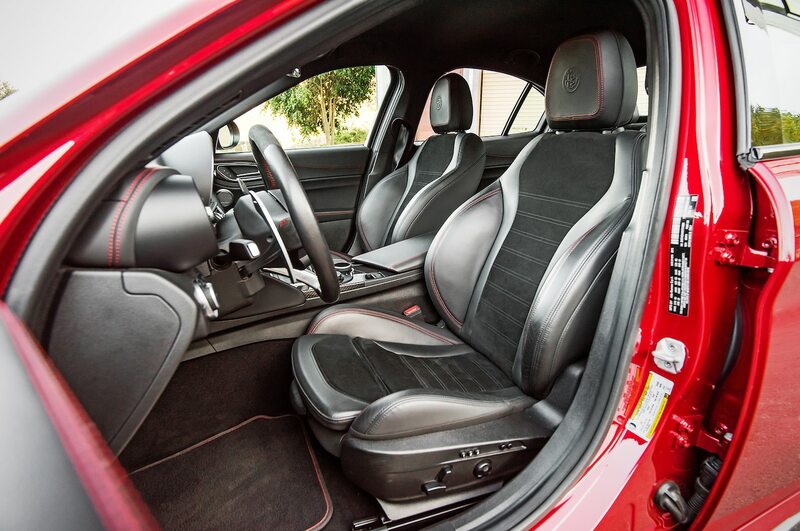 But Alfa retained its legacy of what an Italian car’s exterior and interior should look like. 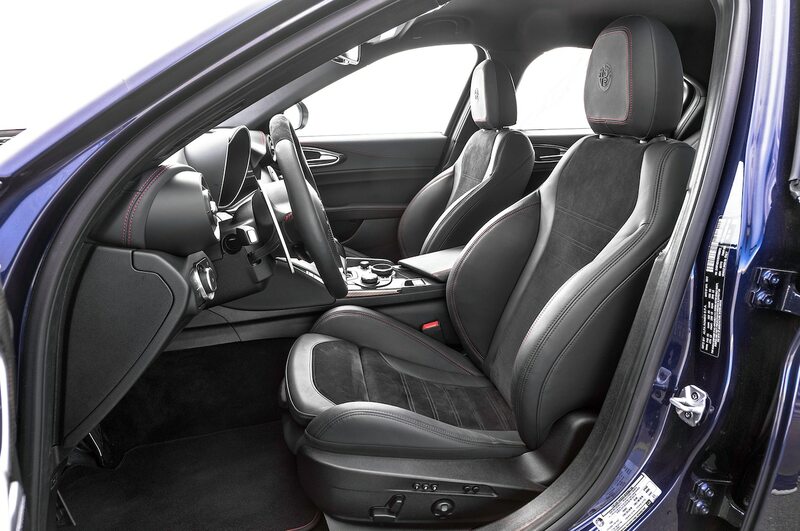 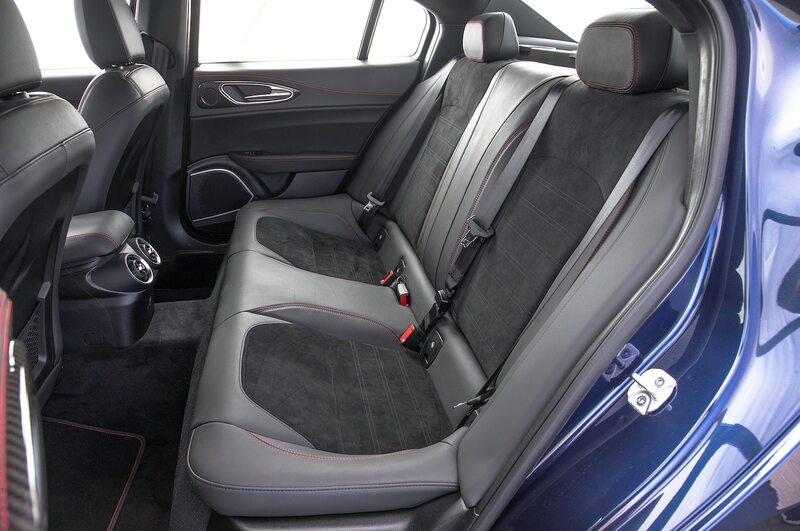 It is unmistakable and sensual, imbuing a cosmopolitan glamour to the driver. 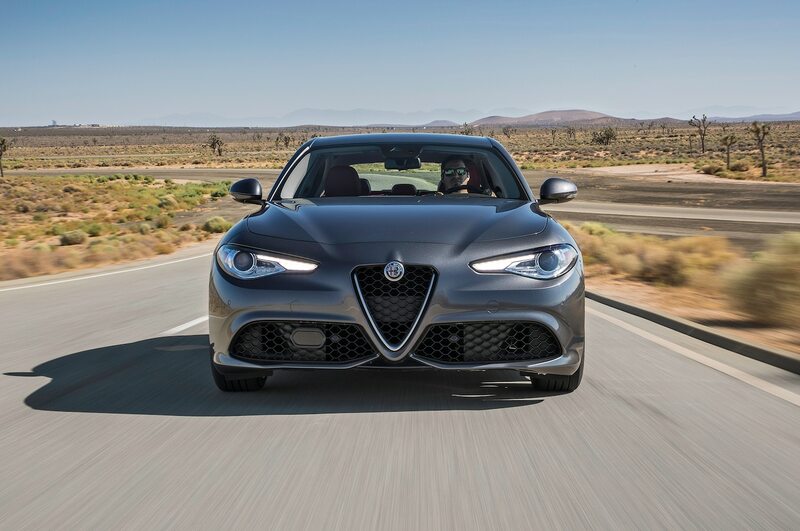 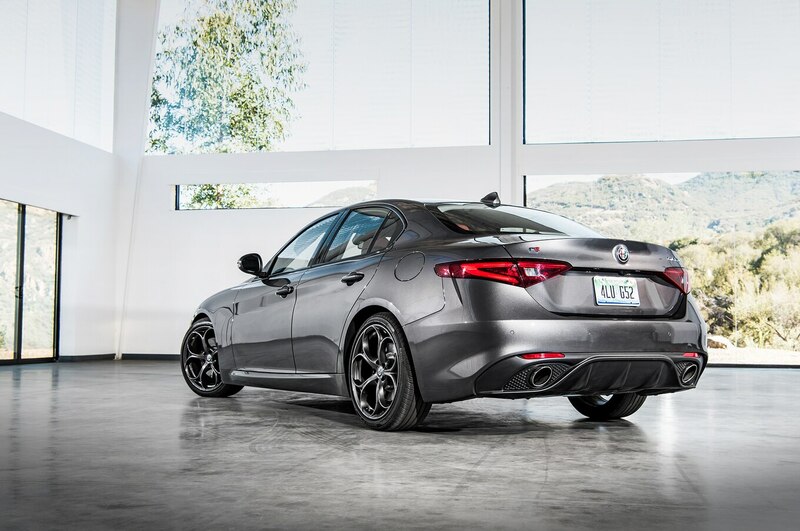 “The design, packaging, and various visual elements seem to come together to complement each other,” former Chrysler design boss Tom Gale says, pointing to the shield grille, shrouded instrument cluster, and ’60s-inspired wood inlays as iconic Alfa styling points. 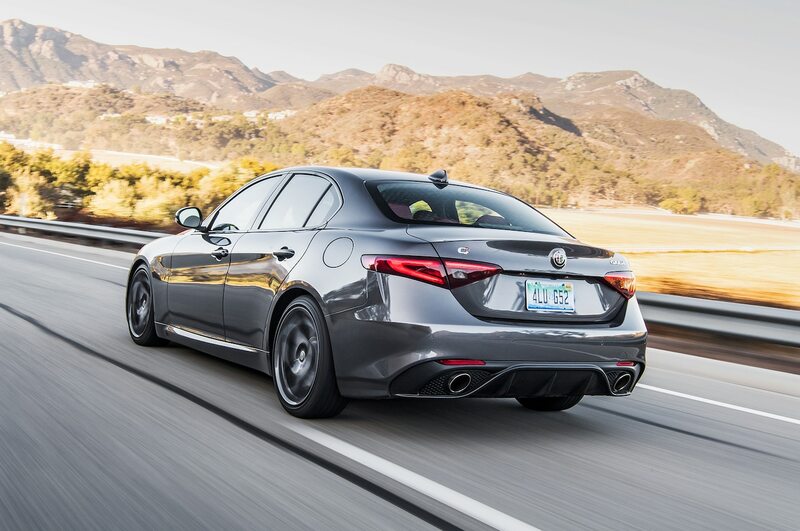 This snazzy aesthetic travels into places most people won’t see (but Theodore did), such as the attention to detail in the chassis design—with stout spring perches, strut-tower braces, and shrouding of the cooling system. 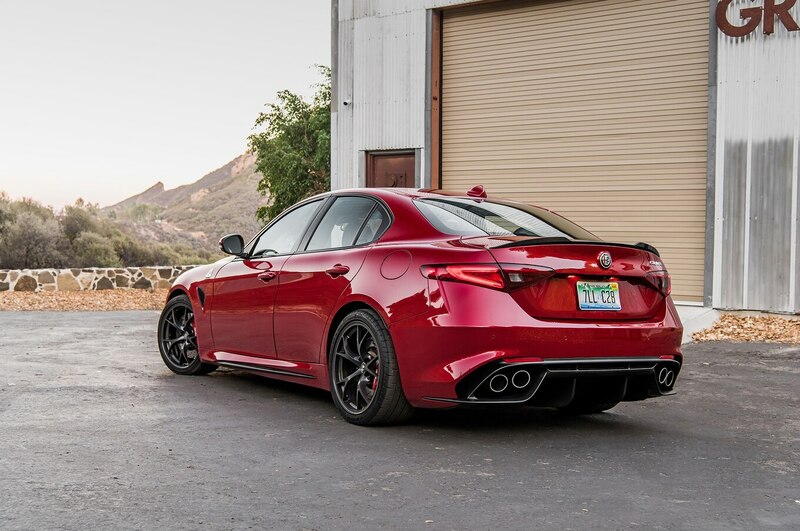 Now let’s talk value. 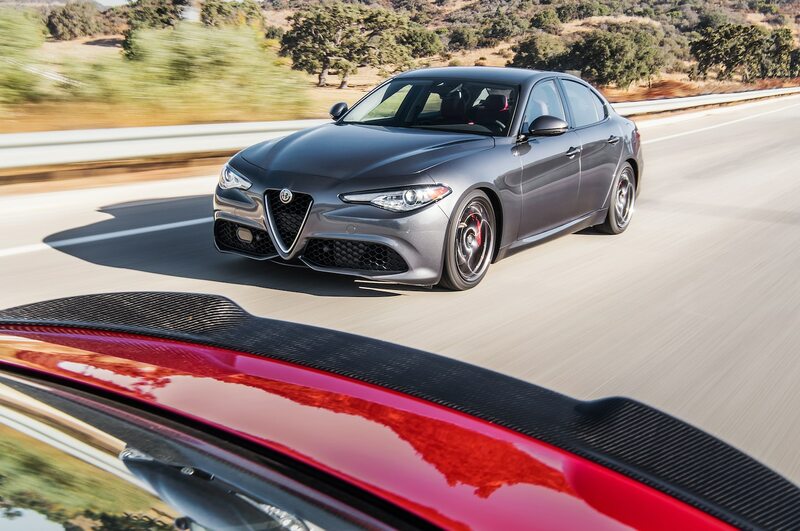 This segment is cutthroat, and Alfa has not flinched at what is expected. 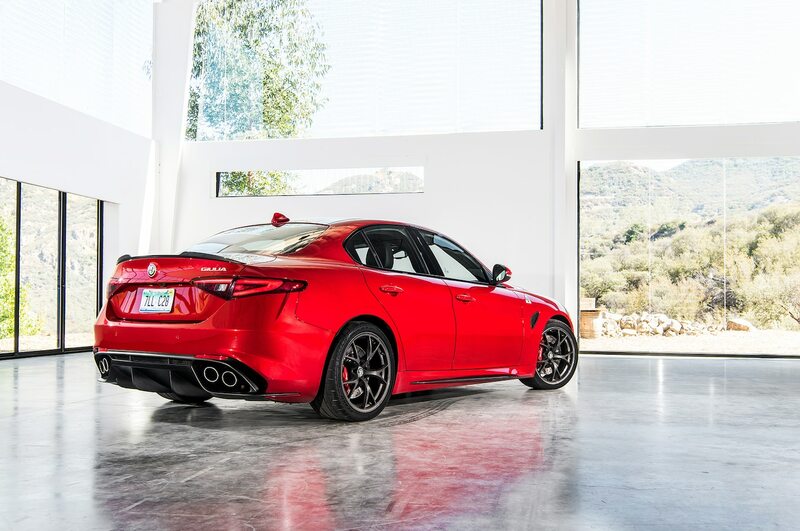 After following the industry-standard 36-month, $399 USD/month lease deal, it launched a 24-month, $299 USD/month lease deal that should get the attention of any individual with Maserati tastes but a Mazda budget. 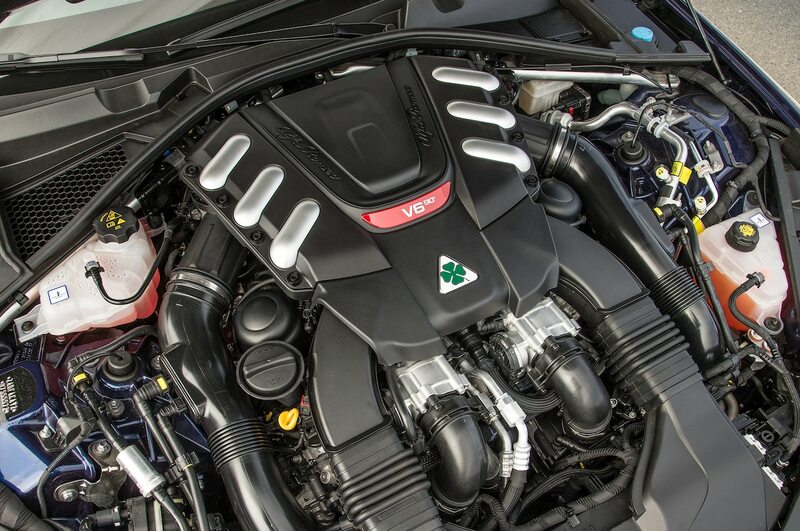 Carrying such a gutsy engine could tank fuel economy. 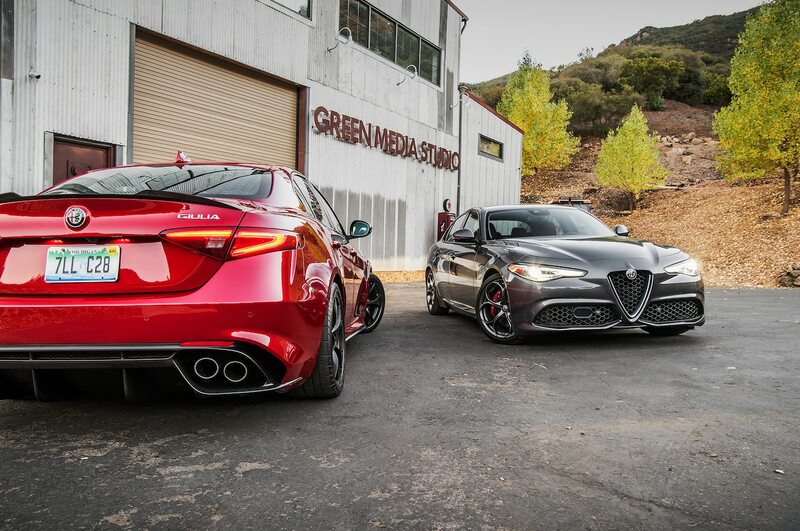 But the Alfa is a miser. 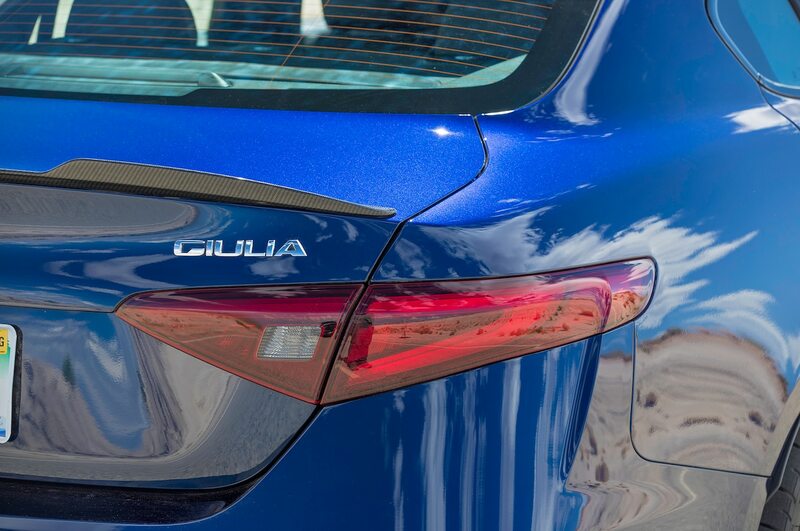 The rear-drive version of the 2.0-liter Giulia delivers 21.7/37.9/26.8 mpg (10.8/6.2/8.8 L/100km) city/highway/combined in our Real MPG tests, while the Quadrifoglio managed 15.8/28.5/19.8 mpg (14.9/8.2/11.9 L/100km)—in both cases, underperforming the EPA ratings slightly in city and combined and significantly exceeding them on the highway. 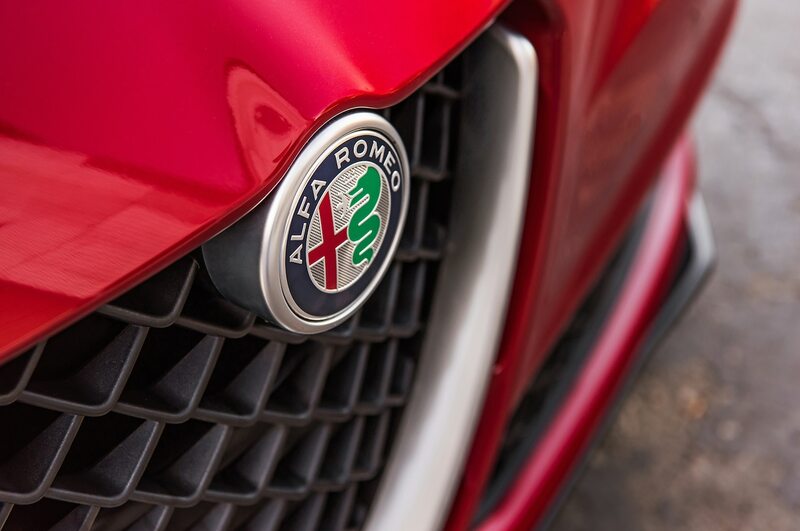 As to the elephant in the room: Some readers with long memories will recall Alfas of yore as temperamental and unreliable—the main reason for its departure from this market in 1993. 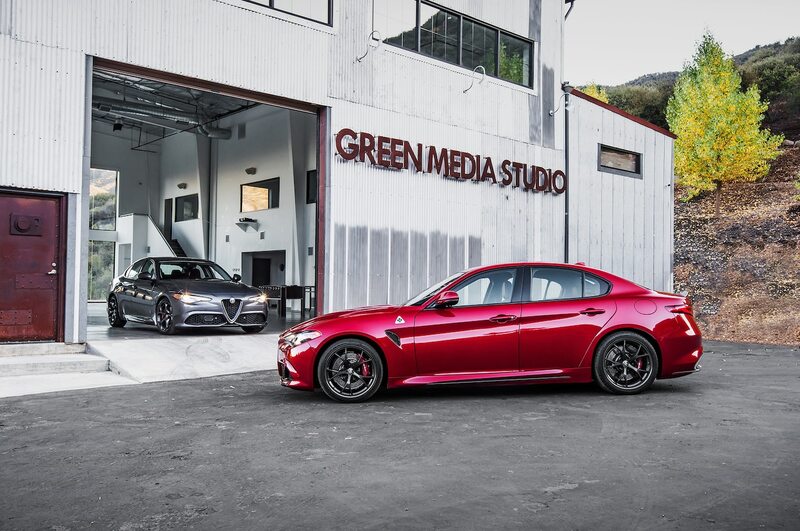 And upon Alfa Romeo’s return to the North America, some early-build 2017 Giulias had issues with electrical gremlins. 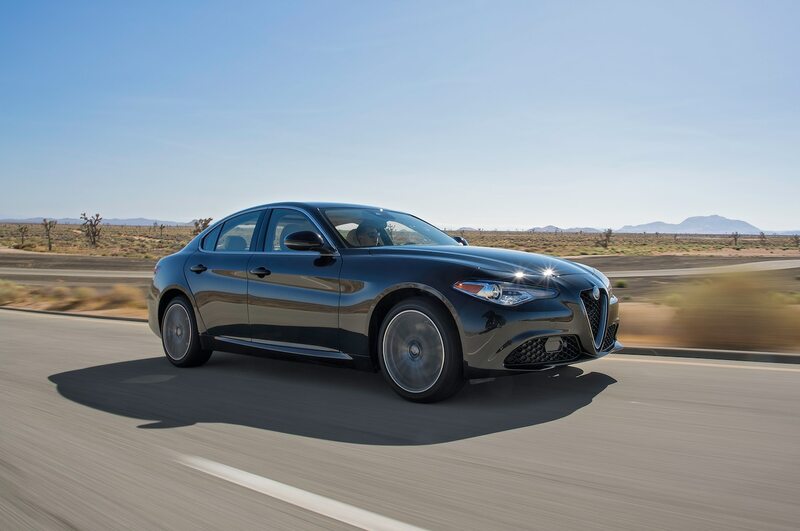 But in this year’s accelerated wear-and-tear Car of the Year testing of three Giulias, we found nary a glitch, hiccup, or bark of protest—while several cars from other luxury automakers had notable issues. 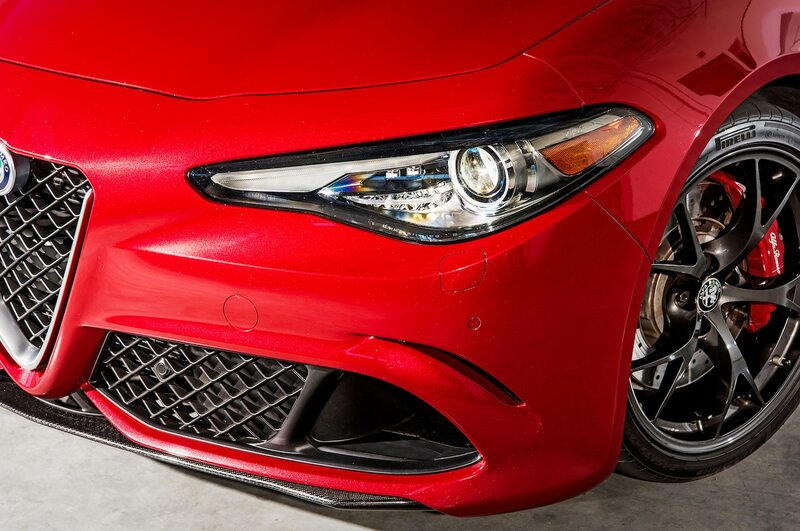 But those are minor points. 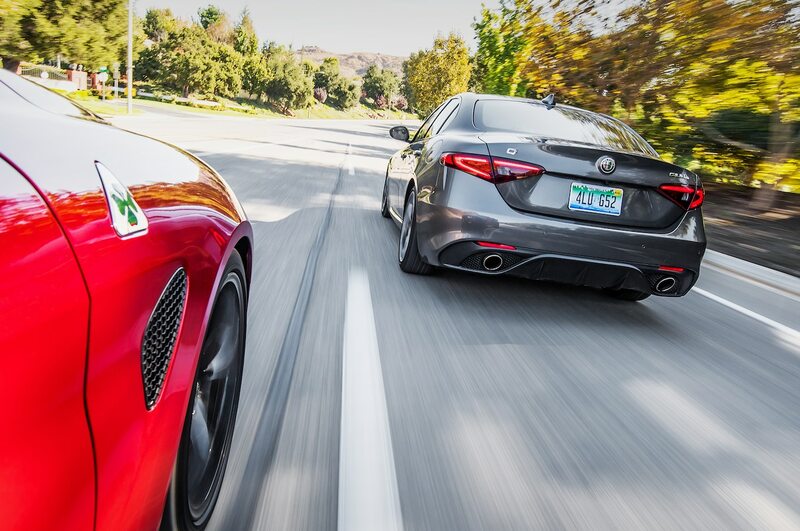 Our peckish panel of judges had similar quibbles with every car in this year’s field. 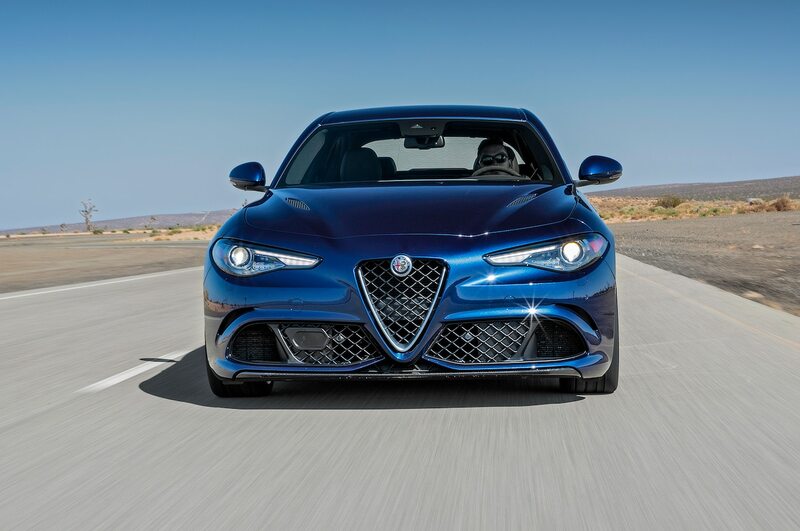 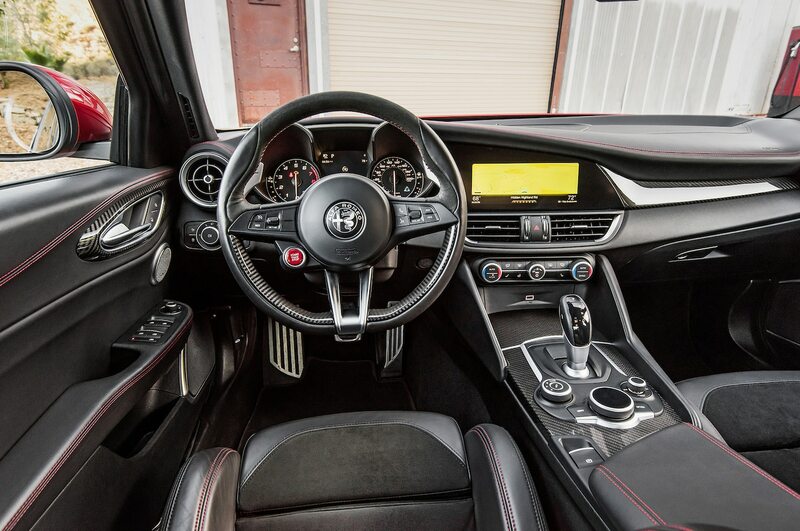 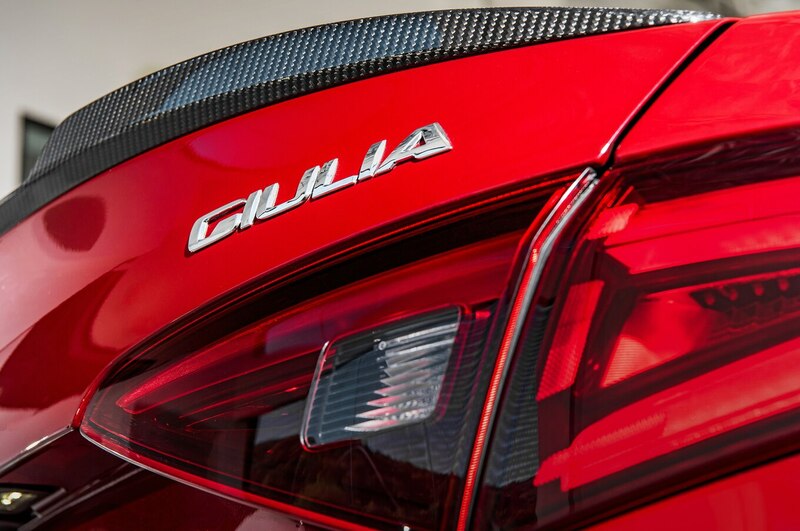 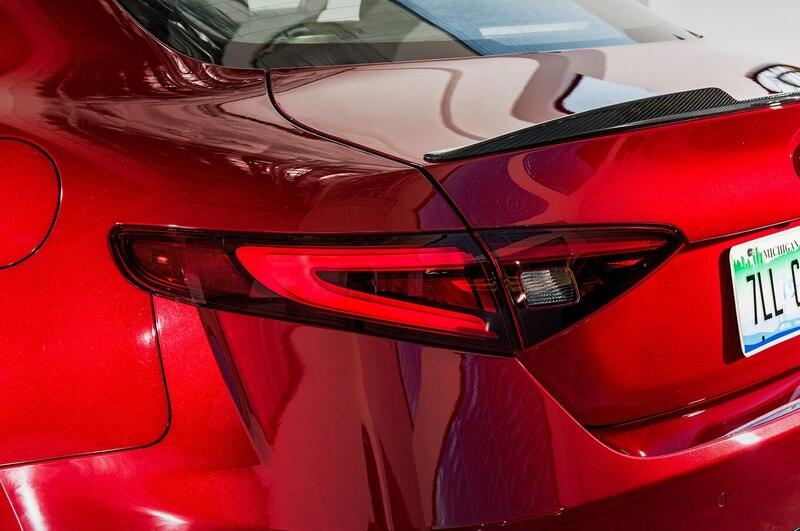 The Giulia was the only vehicle whose essence enraptured the jury with its charm and unbridled zeal for driving. 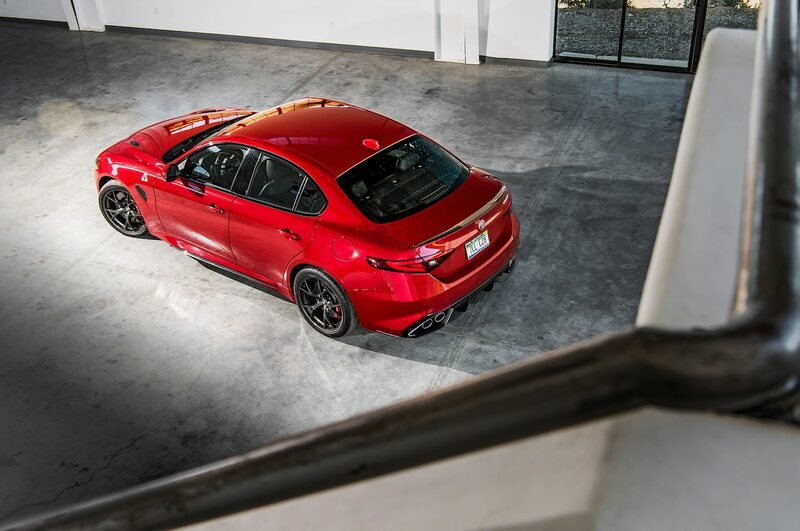 Nearly every judge uttered the word “love” when describing this car. 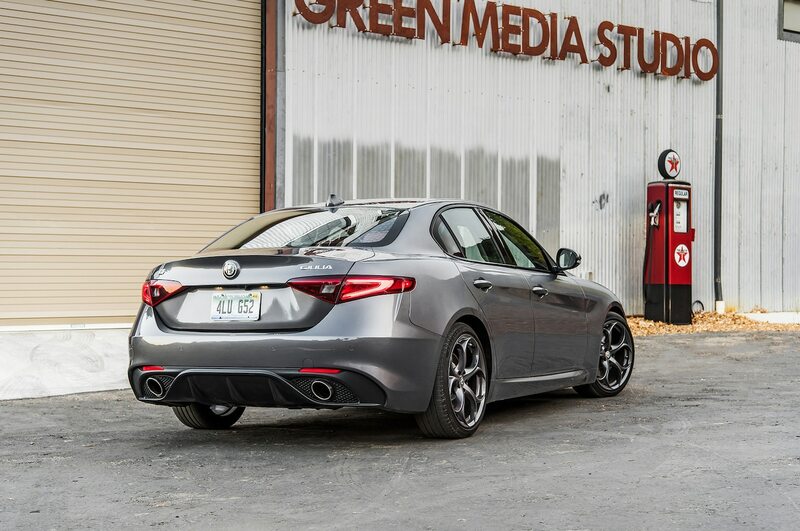 “I would be so happy if every day I got to be in this car,” senior features editor Jonny Lieberman says. 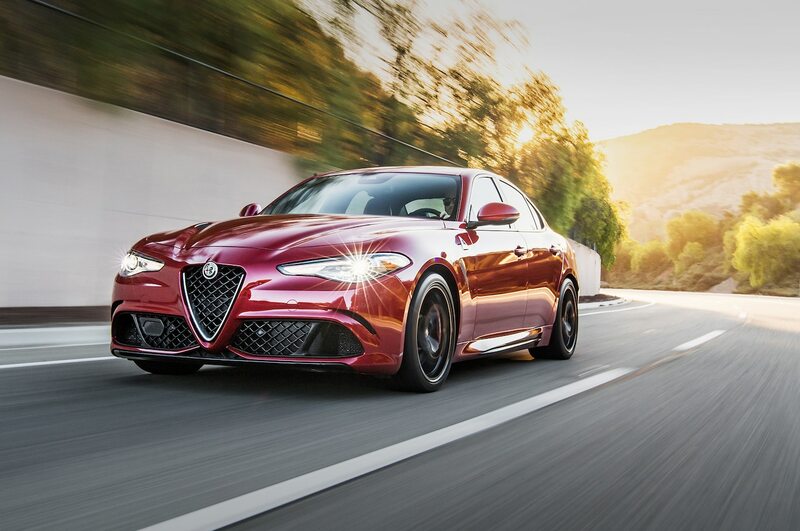 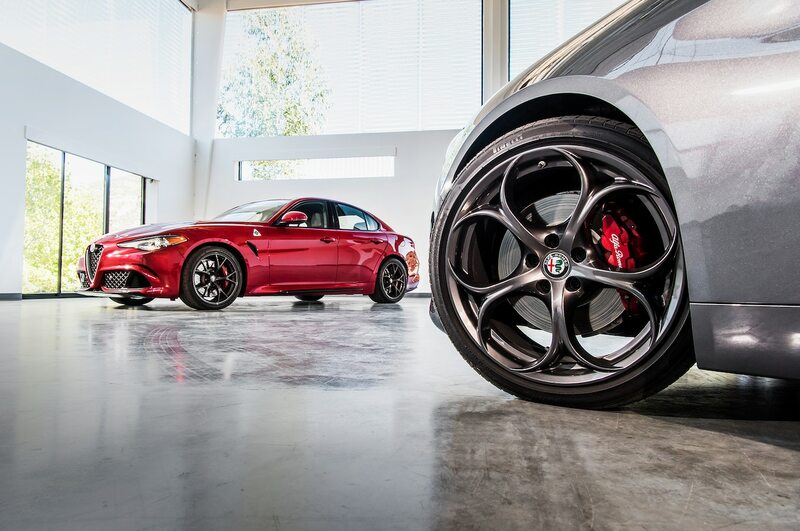 William Shakespeare’s Romeo told us that his shimmering Juliet “doth teach the torches to burn bright.” And so we compare thee, beautiful, passionate Alfa Romeo Giulia—your styling, road manners, and sheer sensuality of driving.